Join us for our January meeting as Dennis A. Kranyak, SMT President reviews the current state of the market and the tools he uses to determine how to enter the market at a low risk entry point after a correction or pull back. He will also cover the signs he saw that a correction was in the cards, in addition to examining how his A.I.M. system has done over the past 10 years, including this fall’s falling out. 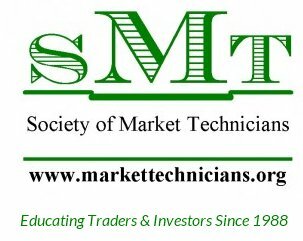 Members may pay dues by check or cash at the meeting ($45), by credit card at the meeting ($47 total using our mobile reader), or on the SMT web site ($47) using either a credit card or PayPal. Web site and credit card payments are an additional $2 to cover SMT online banking costs. Dues increased to $45 in 2018. New members may join at any time for the same due and their membership will be valid to 12 months after the date of payment.